I like Helmetless Hydron! A cool character! 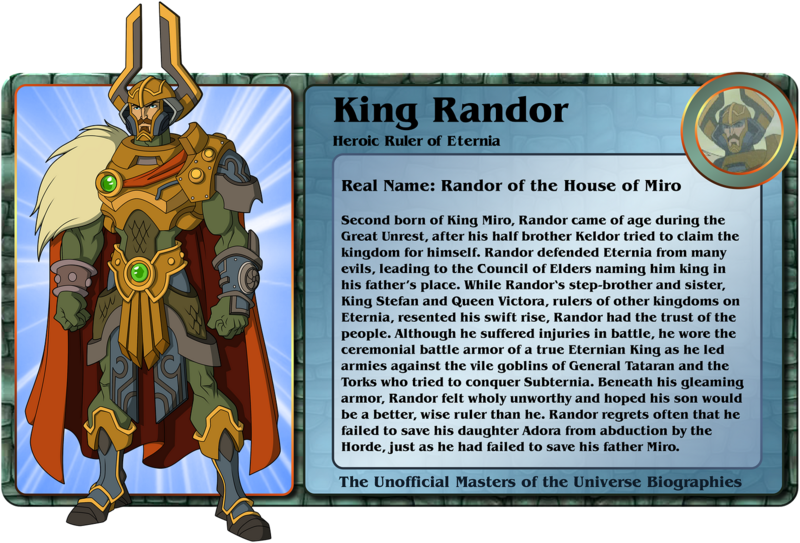 I'm a huge MOTU fan and am learning more and more about the MOTU franchise the more I come to this site. Every time is so good to see new images on this thread. Thanks for keeping it up, Gbagok. Does anybody have the batch #63 in high resolution? 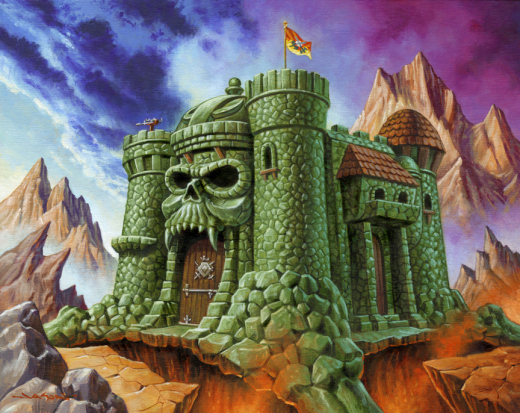 Last edited by King Grayskull; October 13, 2018 at 06:53pm. Oh yeah, I remember. Unfortunately, I don't think it was possible to save them in hi-res. I tried my best. I think the hosting borked the images. Any chance of re-uploading those, gbagok? I'm sure you have better things to do, but it's worth a shot, haha. That's what i thought. I tried the same. Thank you anyway. And agree with you on that! Gbagok have been waiting to see your new characters. Last edited by King Grayskull; November 11, 2018 at 10:35am. Photobucket may have been having a problem. I'm able to download and open the file and it is displaying correctly for me right now. I'm sorry if there are problems. I also apologize for no new bios. Part of it is because life is kind of crazy right now, close the holidays and all. Also trying not to confuse fan canon with anything official, so I've backed off from the unofficial bios just to keep my head straight. Also I'm dealing with insurance too after someone hit my car recently, so that's an ulcer of its own. Since I probably won't have anymore for a few months, here's just a couple for the holidays. You do not have to justify yourself, but it would be nice to keep you informed, just to know where you are talking about characters, because you do not know if you're sick, injured, etc. And I'm a fan of the characters you redo because they are beautifully made and each time it's a wonder, and in addition I spell them and I put your cards in a binder, greetings. You open them with what? 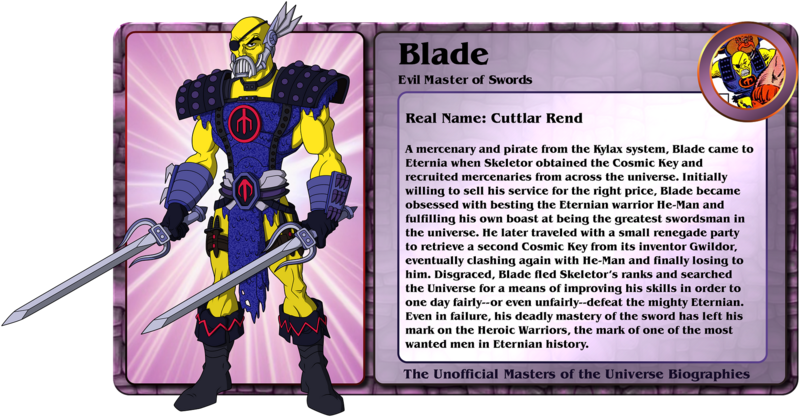 Thanks for posting these, especially Terror Claws Skeletor. Really appreciate it. Killer design here. Would like to have seen Flying Fists He-Man to go alongside him in this batch. Still awesome additions here. "A true hero fights for justice and loves kindness." - He-Man, Buzz-Off's Pride, 2002. Currently Earth, Still Phoning Home! Anyone else having issues seeing all the images? I can see them clearly. An insatiable hunger for Hunga! Twiggets & Widgets & Garth, Oh my!! Articulated Cringer & Catra in Cat form would be Pawsome, too!!! Figured out my issue I have been going through all the pages to see the bio's for two days. Photobucket has blocked my IP after page 40. Switch the IP and now I am back up and seeing them. I Love your characters visions! They are so modern and compelling! Could I suggest new characters? 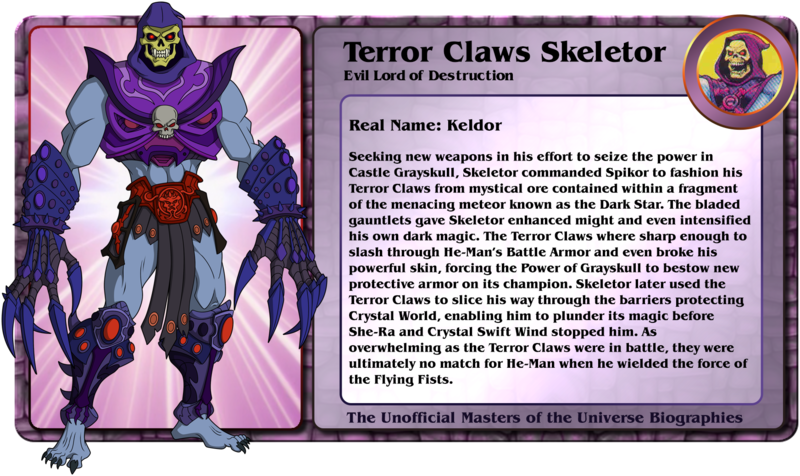 That Terror Claws Skeletor is scary as hell!!!! Hey Gbagok. We miss you my friend. Hope to hear from you soon and we can see lots of cool stuff from you this year. 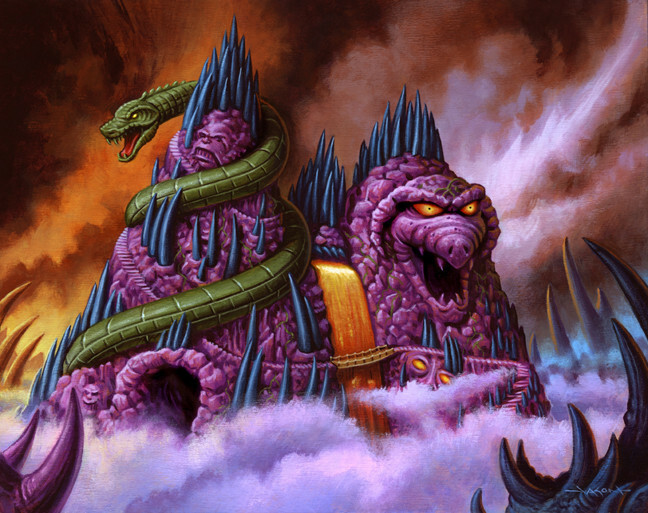 Terror Claws Skeletor looks awesome, will we ever see Cosmic Skeletor from the movie?